CALUMET — With being such a small school and a small robotics team; they are making a big name for themselves. 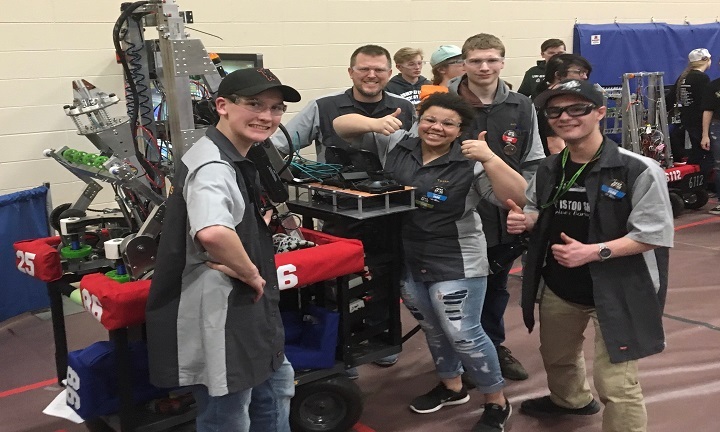 The Calumet CopperBots are working their way to the State Championships and maybe even back to the World Championships this year. As the team gets ready for the big competition this week they do feel that they are prepared for this challenging competition. They did well at their last two regional competitions and are ready for the road ahead of them. Now this team has a tremendous job in the Upper Peninsula, but now they will be going up against some teams that have more resources. Although that isn’t bothering the CopperBots because they know they put their time and passion in to what they do. This team has done quite well with their outreach due to receiving donations that have changed the game for this team’s performance. This robotics team has definitely been putting in the time and has even been putting more time on the weekends, which can go up to 9-10 hours. It’s all for the chance to win the championships. With all of that time these students put in they are extremely excited and ready to go to State and to show everyone in Michigan that they are a team to not be overlooked. Now the Calumet CopperBots may win the State Championships and if they do they will head on to the world Championships. Then we will see if they have what it takes to be the best.